最佳, 返回页首 10 Horror Movie Villains - Revealed! 4-19 Release: The Curse of La Llorona - Will 你 see it? 4-5 Release: Pet Sematary - Will 你 see it? I am not a huge 粉丝 of horror films, however I would 搜索 on YouTube to see trailers of the latest horror films 或者 if I can able to watch a whole film. 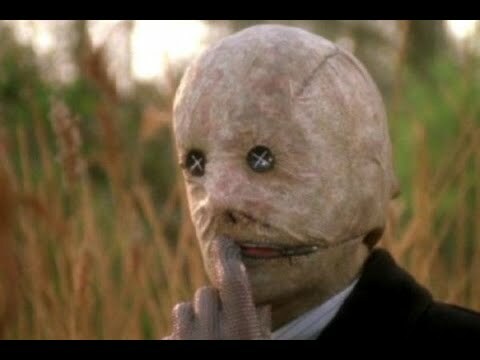 I do like the works of Tim Burton, and Alfred Hitchcock as I can cope to watch one of their works without feeling uneasy at night, despite its only a film which sometimes would be based on true facts 或者 true stories. There are so many horror films that I have not heard of, but there are a few that I have heard 或者 seen on the TV/ social media as trailers. Are 你 ready for 万圣节前夕 days? 你 can 亚马逊 the keyword, "HorriWeen"
Hello, my name is Heather and I'm a horrorholic. Specifically a slasher stan. I've been watching horror 电影院 since I was a single digit 年 old and slashers are my 最喜爱的 sub-genre of not only horror but any 电影院 period. There's something very formulaic and familiar about them and they bring me inner peace. So with that said, I will be reviewing this movie from a slasher standpoint - if that makes sense to anyone at all. There are two types of people in the world - those who don't 爱情 horror, and me. I don't need to clarify for anyone here that I'm a horror fanatic as if 你 visited this club 或者 my 个人资料 ever, you'd know how much I 爱情 the genre. It is my 最喜爱的 genre, no contest and it has been since I was 8 years old. Maybe even before that, but that's the age I remember becoming obsessed. So in all those years, I have seen a LOT of horror 电影院 and I have also had many years to collect them. Jigsaw is an American horror film directed 由 Michael and Peter Spierig and starring Tobin Bell, Laura Vandervoort, Matt Passmore, Callum Keith Rennie, Clé Bennett, and Hannah Emily Anderson. It is the eighth installment in the Saw franchise, picking up over a decade after the death of the eponymous Jigsaw killer during the police investigation of a new succession of murders that fit his modus operandi. Please keep in mind that this is merely my opinion, and this will be almost strictly horror. 你 could say "What's 万圣节前夕 without Hocus Pocus and Halloweentown?" and that's fine but also cliched and not horror. This is not a 列表 of my 最喜爱的 horror 电影院 由 any means either, just a 列表 of great ones I think are fun to watch at 万圣节前夕 time and give me that sense of Horrorween (my new 最喜爱的 word btw). I have also included some horror 电视 in here as well just for the short attention span people (aka me). It is a 2017 American 邪恶力量 horror film based on Stephen King's 1986 novel of the same name and directed 由 Andy Muschietti starring Jaeden Lieberher, Jeremy 射线, 雷 Taylor, Sophia Lillis, Finn Wolfhard, Wyatt Oleff, Chosen Jacobs, Jack Dylan Grazer and Bill Skarsgard as Pennywise the Dancing Clown. It opened September 8, 2017. Wish Upon is a 2017 American 邪恶力量 horror film directed 由 John R. Leonetti, and starring Joey King, Ki Hong Lee, and Ryan Phillipe. It was released on July 14, 2017.
a video 增加: 最佳, 返回页首 10 Horror Movie Villains - Revealed! What are your 最佳, 返回页首 10 最喜爱的 Horror Movies? What is your most irrational 或者 Uncommon fears.